What is Indirect Injection Technology in Engines? 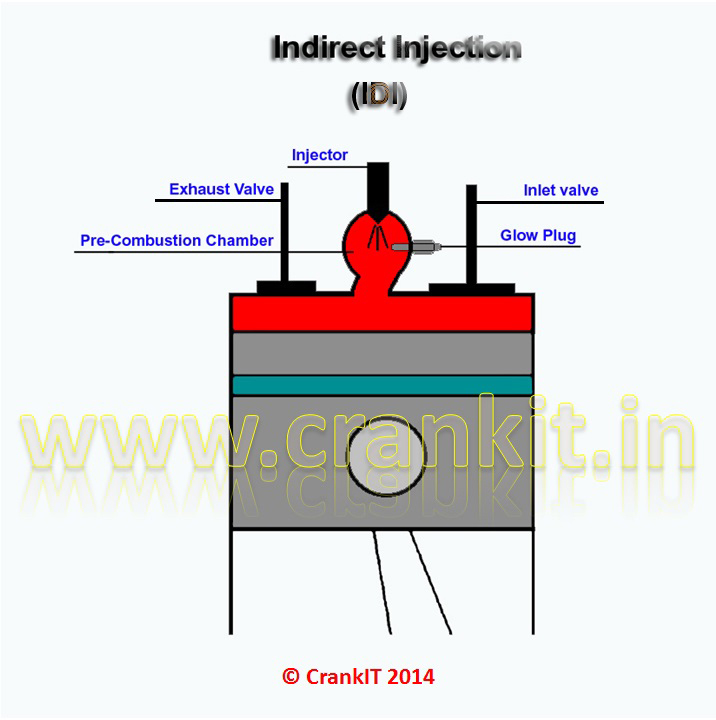 IDI stands for Indirect Injection. This technology is used for achieving higher engine speeds for diesel engines. It is typically used in light-duty diesel engines fitted in the earlier generation passenger cars, sedans & Multi-Utility vehicles. 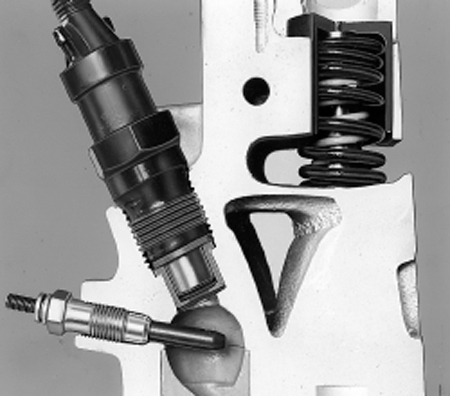 In the Indirect Injection, the injector does not spray the diesel directly over the piston. Instead, it injects the diesel in an auxiliary or a ‘Pre-combustion chamber' located inside the cylinder head. The Pre-combustion chamber creates swirling action in the compressed air. This helps in mixing of diesel with the air uniformly. In this system, the air moves fast while mixing the fuel and air. During the compression stroke, air from the engine cylinder first enters the pre-combustion chamber. As the air is compressed, its temperature rises and thus, the air becomes hot. At this moment, an injector injects fuel into the pre-combustion chamber. The combustion begins in the pre-chamber and then, it spreads to the entire cylinder. Possible to produce smaller size diesel engines suitable for cars. IDI can achieve higher engine speeds than direct injection diesel engines. Due to low Injection pressure, the injector is cheaper to produce. Indirect injection produces lower stresses on internal components. So, it is possible to make the basic common platform for petrol and diesel versions of the same engine to save cost. However, the inclusion of a pre-chamber increases heat loss to the cooling system and lowers the engine's overall efficiency. This engine design also requires glow plugs to preheat the air before starting when the engine is cold. 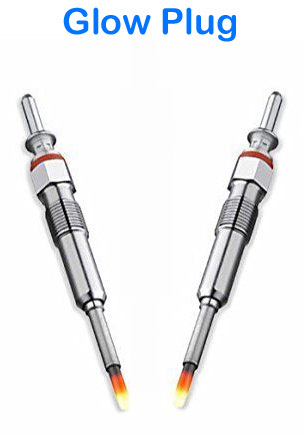 The glow plug has a thin metal rod on its front tip made of temperature resistant materials such as platinum and iridium. The glow plug heats up when the electric current passes thru' it from the other end. This makes the air around the glow plug hot and helps the engine to start easily when it is cold. Peugeot developed and used the Indirect Injection technology with mechanical fuel pump under its engine brand name TUD-5. Peugeot sold this technology to other manufacturers who were in need of smaller diesel engines. Indian cars Maruti Suzuki Zen (Diesel), Maruti Suzuki Esteem (Diesel) & first generation Mahindra Bolero had a Peugeot TUD-5 IDI diesel engine. The other best-known examples of this technology are the passenger vehicles in India such as the first generation Tata vehicles - Tata Estate, Sierra, Sumo, Safari, Indica, and Indigo. One of the most popular cars Fiat Uno (Diesel) also featured the IDI engine technology. The latest generation of IDI engines employs a turbocharger and an intercooler to produce higher power and meet emission standards. Manufacturers refer to this technology as IDI TCIC (In-Direct Injection Turbocharger & Inter-Cooler). Newer generation Tata vehicles such as Tata Indigo, Tata Sumo Victa, and Tata Ace have this type of engine. Home » Technical Anatomy » What is Indirect Injection Technology in Engines? How Does An Engine Temperature Sensor work? What is Twin Shocks Technology by TVS? How Roll Stability Control works in a car? What Is A Multi-Purpose Vehicle (MPV) or Multi Utility Vehicle (MUV)? Engine Capacity (CC): What is Engine’s Capacity / Volume / Displacement?